Yves: Hello. My name is Yves Faguy. This is a Nimonik interview and I’m here today with Dianne Saxe of Enviro Law, who is going to discuss a major case rendered by the Ontario Court of Appeal recently in Smith versus Inco Limited. It was a unanimous decision that overturned a decision which had awarded members of an environmental class action $36 million against Inco Limited, now known as Vale, for contamination arising from historic industrial activity, as I understand it. Dianne, please tell us a little bit about the facts behind the case and what this decision means for environmental class actions. Dianne: The facts are fairly simple. Inco operated a nickel refinery in the town of Port Colborne for 66 years. We imagine there was a lot of competition to get that refinery, and it was the economic mainstay of the town of Port Colborne until 1985 when it closed. Everyone agrees that Inco operated the site lawfully. They complied with the zoning; they complied with all environmental laws; however, in the course of those 66 years, nickel refinery dust, primarily nickel oxide, escaped from the plant and landed on the properties all around the plant, leaving nickel in the soil. In 2000, 15 years after the plant closed, the Ministry of the Environment did one of their regular soil surveys and found higher levels than previously known in some of the properties close to the refinery. This triggered a surge of public concern about whether there were any health consequences to the nickel in the soil. The Ministry of the Environment ultimately decided that if nickel levels were over 8000 parts-per-million, Inco should clean it up. There were 25 houses that did exceed the 8000 number. Inco cleaned 24 of them up. The 25th belonged to Ellen Smith and she didn’t allow them to clean it. The class action started as a lawsuit seeking health damages and loss of property value against Inco and various levels of government. By the time it got to trial, it was just a case of the neighbours against Inco, and all they were seeking was lost property value. The reason they were only seeking lost property value is that the court refused to certify a class action if it included health damages. There are four main causes of action that are used in almost every environmental lawsuit: nuisance, negligence, trespass and something called Rylands versus Fletcher, which is a type of strict liability. This is for class actions. It’s also for any civil action having to do with contaminated sites. The Inco case doesn’t involve negligence because everyone admitted that Inco had operated properly, or at least there weren’t any allegations to the contrary. So this case doesn’t matter from negligence, but for each of the other three causes of action, what we now have is a significant narrowing of what we thought they were for in environmental cases. Civil actions of all kinds include in-class actions. The first question is trespass. The one argument is that you have a trespass as long as the contaminant stays on the site. So that’s clearly not acceptable because the trial judge threw out the claim of trespass against INCO and it wasn’t appealed. That leaves nuisance and Rylands versus Fletcher. Nuisance is a very common cause of action and it has, again, two parts. I’m talking only about private nuisance here because public nuisance was also dismissed at trial. 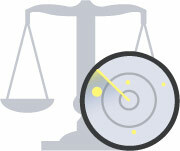 One is material damage to property and the other is interference with the use of property. One question that comes to mind quickly is why did the Port Colborne plaintiffs lose if the neighbours of the St. Lawrence Cement Plant in Quebec won, and the answer is in that distinction. The neighbours of the St. Lawrence Cement Plant were complaining about annoyances during the operation of the plant; that they had to wash their cars more frequently, that they couldn’t sit outside and that they had to keep painting their houses. So those were interferences with the day-to-day use of their property. They never claimed that their property was damaged. The Port Colborne plaintiffs didn’t argue that they were being prevented from using their property. They argued that there was physical damage to their property because of the presence of the nickel. But there were some advantages for them in making that argument. The court appeal held that just because nickel was on the property, it didn’t constitute damage, and in an ironic twist, they lost the property value claim because they didn’t bring any evidence of health damage. I suspect they didn’t bring any evidence of health damage because the court had refused to certify the health claim. One of the ironies about this is that, at least according to the US EPA, nickel refinery dust is a carcinogen. So there probably was a real impact to health for the people who lived around the plant when it was running, or at least there may have been. But now that it’s in the soil, it’s not at all obvious that there is a health problem because—and that’s presumably what the ministry did in their risk assessment—if it’s in the soil and under grass, people won’t be breathing it; at least one hopes. The Rylands versus Fletcher case was an English case from 100 years ago. Mr. Fletcher built a reservoir of perfectly clean water, but he put it on top of an old coal mine. The water fell out of the bottom, into the coal mine, and flooded Mr. Rylands coal mine next door. Judges have discussed for 100 years what exactly that stands as a precedent for and there has been a trend, supported strongly by text book writers such as Mr. Justice Linden, one of Canada’s experts on Torrens, to say that this is meant to provide protection for neighbours of people who do unusually hazardous things, and that’s normally what Rylands has been used for. Yves: But the Court of Appeal did not see a non-natural use there. Dianne: Exactly. The Court of Appeal went out of their way to knock the Rylands doctrine on its head in practically every direction. First of all, they said that the refinery was a perfectly natural use of the site because, after all, it was zoned industrial. Secondly, they said that the whole concept that Rylands is meant to protect people from hazardous neighbours is wrong, that if the legislature wants such a rule, they have to adopt it, that the only thing the Rylands rule protects people against is people doing things in the wrong places. If they had been conducting a refinery in a residential zone instead of in an industrial zone, perhaps there would have been an argument. The third thing they said was that Rylands doesn’t apply to anything that you emit on purpose. It only applies to things that you emit by accident. Inco had its stack there on purpose. They intended to have emissions. They may not have intended to harm the neighbours—I’m sure they didn’t—but they certainly intended to have the smoke stack. Fourth, the court said you also have to have—probably—foreseeability of damages. In other words, the Rylands only applies where the discharge occurs by accident, but you know in advance that if the accident occurs, you’ll hurt somebody, and in 1985 when there weren’t any standards for nickel in soil, you’d have a hard time arguing that Inco knew that its neighbours would suffer loss in property value 20 or 25 years later. Bottom line is they went all the way around Rylands, chopping legs off. If there is going to be leave to the Supreme Court of Canada, it might be on Rylands, and particularly on whether it really is as limited as our Court of Appeal has said, or whether it still has some role in protecting people against neighbours who do hazardous things. Yves: So where do we go from here? What does this mean for environmental class action suits of this nature or of the nature of St. Lawrence Cement? Are we going to see them take different approaches? Are we going to see courts show more resistance to these types of claims? How do you see things unfolding? Dianne: Smith versus Inco doesn’t have anything to say to the annoyance cases. If the annoyance is still going on, if people’s use of their property is actually being interfered with by something the neighbours are dropping on them, St. Lawrence Cement governs and they can continue. Smith versus Inco has nothing to say to that. If you think about class actions for historic contamination, just like Inco, old refineries, old emissions, land along highways from lead and gasoline, anything that happened more than two years ago and isn’t happening now, it will be very difficult for people to bring successful claims now; much more difficult than it was before. Certainly for class actions, Class Action Council usually takes these cases on contingency, so they have a big financial stake in whether the cases succeed or not. I think they will have to be very cautious before taking on any cases of historic contamination. Current nuisances, as I say, this case doesn’t hurt. But it’s not just for class actions; it’s requiring all of us who deal with contaminated sites, on every side, to rethink what the law is because the court has done so much to narrow the causes of action that we normally rely on in these cases. Yves: Do you expect us to go the Supreme Court? Do you expect they will grant leave? Dianne: The legal points are very interesting, particularly the questions as to what they’ve done with the Rylands. I think it would benefit for some review from the Supreme Court, but it’s not likely that the Supreme Court would interfere with the assessment of damages. If the Port Colborne plaintiffs are going to lose on damages anyway, it’s less obvious that the court would decide to take the case just to pronounce on the law. Generally speaking, they don’t want to do that. They try to focus on deciding cases they have to decide, as opposed to just cases that the rest of us might like them to decide. We also have to look at the fact that there are two new conservative judges that have just been proposed for the court; neither of them, as far as I can tell, with any significant environmental track record. I looked to see if there had been any significant decisions authored by either of them on environmental liability and I didn’t find any. They may not be that concerned if they don’t feel like interfering with the damages, and as I say, it seems less likely that they will want to interfere on the damages. That’s the kind of fact-specific decision that they don’t normally involve themselves in. If there are no damages anyway for the plaintiffs, they don’t have to decide the rest of it. But I hope they do. It would be interesting to hear what they have to say. Yves: Well, on that note, I want to thank you for joining us today and explaining to our viewers about this decision. Thank you, Dianne Saxe. That was very helpful.